I have been so super pumped all weekend and today…oh yes Fashion Week is here!! I have been stalking the shows online and like always it makes my mind explode with ideas and new color combinations. Most of shows so far have kinda been well blah… a lot feels so already done, under innovative and you can see the poor constructions. But it’s far from over and I’m ready to be blown away! Actually THilfiger really shocked me with its crazy shirt color block pants/ skirts. Not sure if I like it yet…reminds me of being in the mall when I was 12 and seeing girls wear those Abercrombie shorts that totally shows their crouch…eeewww…but it was definitely different. Well from cramming nonstop… color and patterns start to fill my head and I see relations everywhere. I love it! Today for lunch I sat on the pier right outside my office and as I ate my amazing PB&J I started seeing color connections all over. 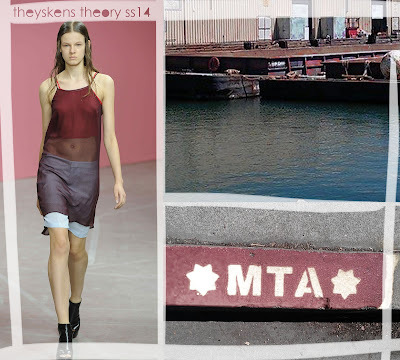 The muted blues of the bay reflected off a purple tinted cargo ship and the soft reds of a Muni sign on the road reminded me of the Theyskens Theory and Opening Ceremony shows. 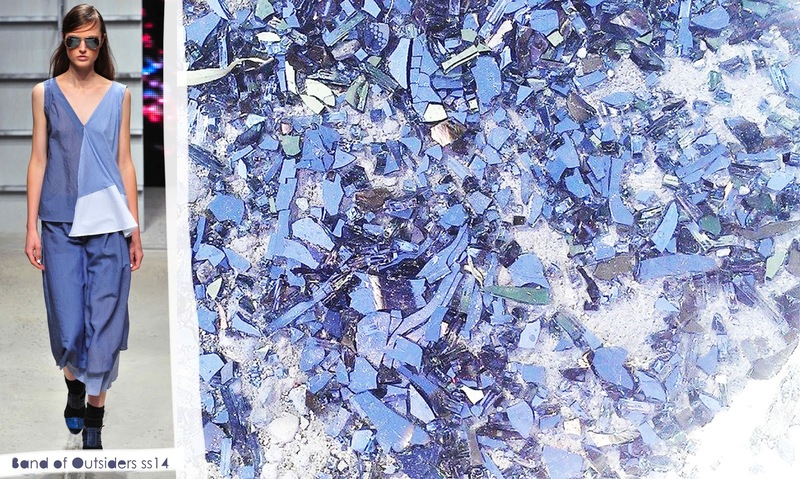 As I walked back to my building I saw some broken glass with all different shades of dark denim blues….I instantly thought of the Band of Outsiders. 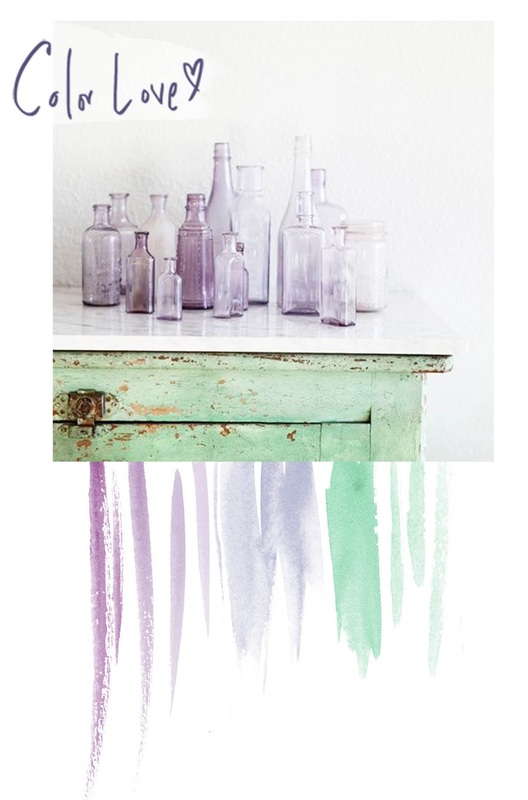 I’m not really a dark faded color lover but it surprised me how cool they looked. Sometimes first blah impressions can turn into unexpected amazing inspirations. I'm normally not a big fan of green paired with red but there is something so beautiful about these images. 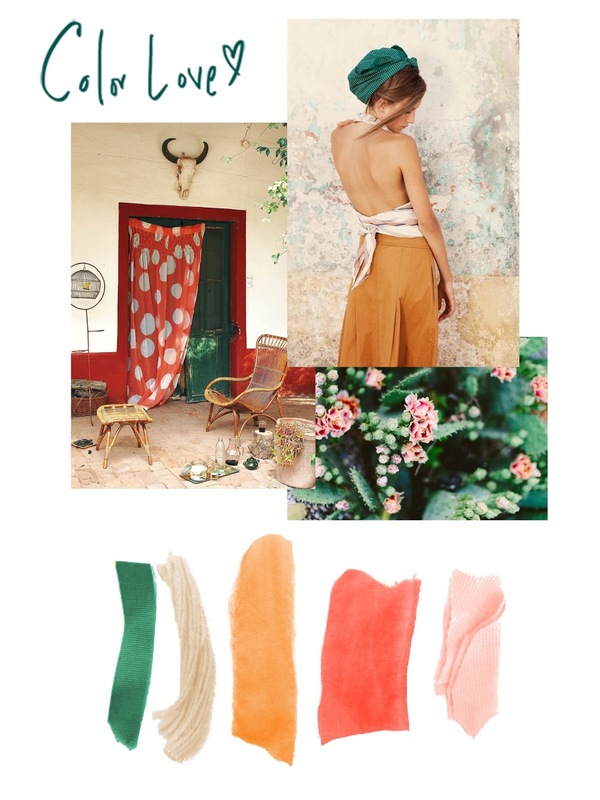 I love the saturated teal and coral mixed with the light sand and baby pink. Hello! Hows your day? 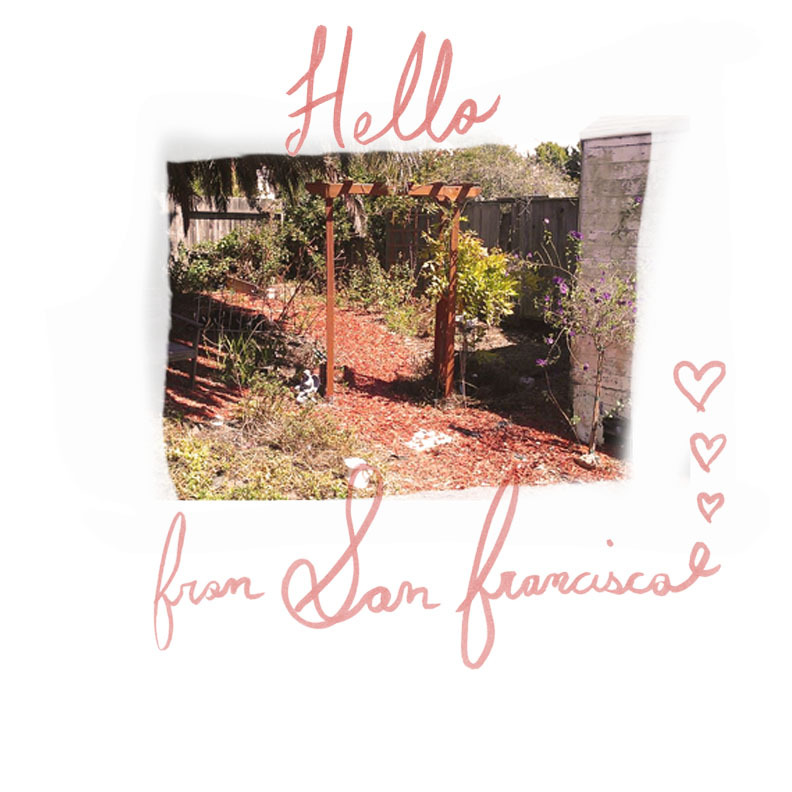 Mine is all sunny here in San Francisco! I have been busy with my new garden....planting...weeding.....identifying. It is my favorite place to be right now. I cant wait to grow some veggies!! We just moved into our new place this week and I'm so exhausted. We found a great place in Richmond Ca.....right on the border of El Cerrito. Its a 2 bed house in with a giant backyard. The yard is filled with all types of flowers, herbs, and even a blackberry bush. 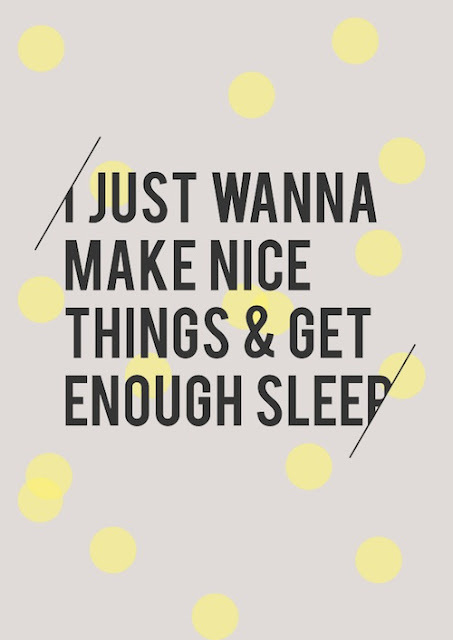 I am so excited to start exploring and maintaining my new beautiful backyard and home but for now all I want to do is sleep. Tomorrow is a day of true crafting and change. Hope you had an amazing week! See ya on Monday! Happy Friday! Hope you have a freaking awesome weekend!!! Amazing day here in San Francisco! The sun is shining and the breeze is perfect. 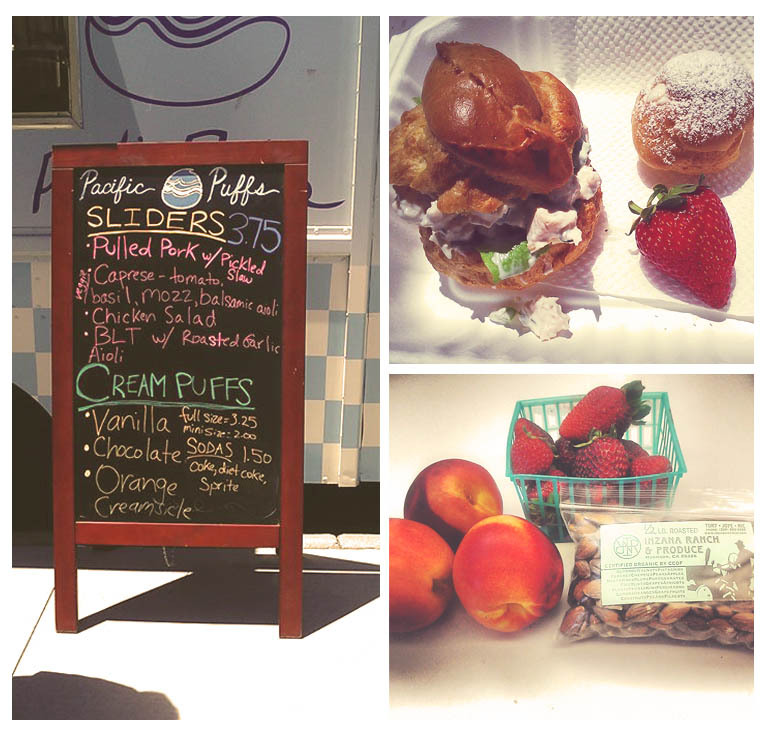 Right outside my work today there was a local farmers market and a delicious food truck called Pacific Puffs. I got a chicken salad puff and a mini vanilla puff.....they were both super tasty. The chicken Salad was very fresh! I also bought a basket of strawberry’s from the farmers market and no lie one of the best I have ever ate! Yummmmm! !